Last year’s winner was Chris Wiseman for his hand-made sideboard made of British sycamore and oak and which he entitled ‘Oak within’. Woodland Heritage is proud to sponsor the ‘Best Use of British Timber Award’ once again at the Celebration of Craftsmanship & Design, being held at Thirlestaine Long Gallery, Bath Road, Cheltenham, GL53 7LD. The event takes place between Saturday, 19th and Monday, 28th August inclusive, with the gallery open 10am-4pm daily; entrance fees are £3 for under-16s and £6 for adults. Full details can be found at www.celebrationofcraftsmanship.com. Woodland Heritage is a vehicle for wood users to “put something back” and to contribute to the proper management of British trees. Using British timber encourages the sustainable and economic value of our woodlands, as well as supporting the wood chain. Well-managed, healthy woodlands can also provide an environment that supports wildlife, whilst ensuring traditional woodland skills are not lost. 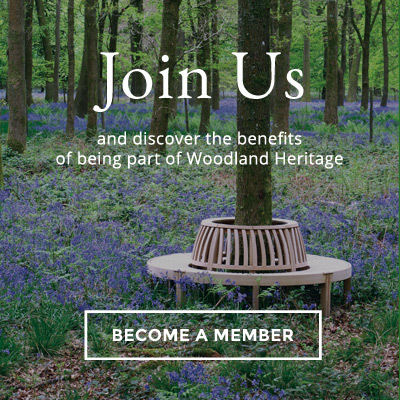 Woodland Heritage’s prize of £500 will be awarded to the exhibit which demonstrates the best use of British timber, along with a Highly Commended prize of £250. Consideration will be given to “locally grown and locally used” especially where an entrant is able to provide proof, as well as in their use of timber, design and craftsmanship. The winners, along with their exhibits, will be featured in the charity’s annual Journal. Last year’s winner was Chris Wiseman (www.wisemanwoodworks.com) for his hand-made sideboard made of British sycamore and oak and which he entitled ‘Oak within’.